Aleratec's latest USB duplicator delivers fast, reliable duplication of up to 15 USB flash drives, external 2.5" USB hard disk drives, USB SSD drives. 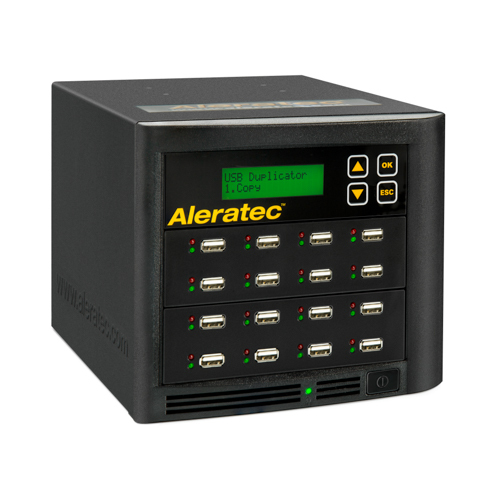 In addition to high-performance duplication, the 1:15 USB HDD Copy Cruiser SA™ sanitizes external 2.5-inch USB hard drives using 1-Pass/3-Pass/7-Pass Overwrite functions. All functions are controllable through a back-lit, easy-to-read LCD interface. 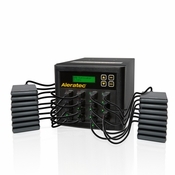 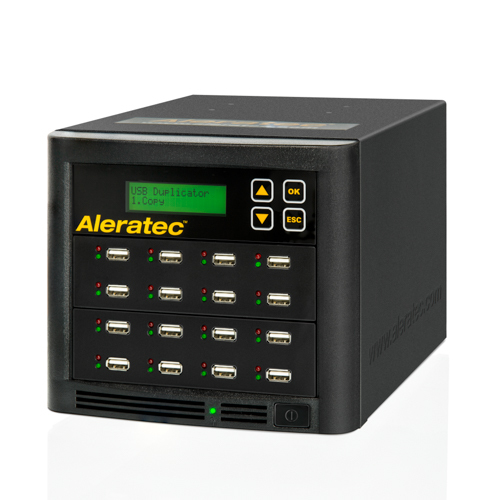 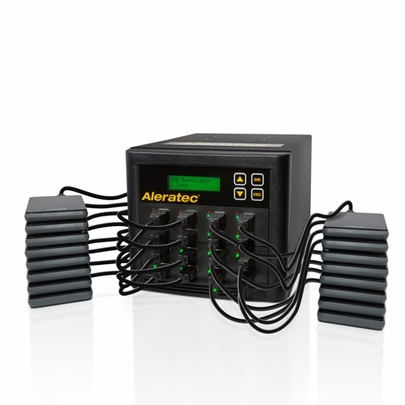 Save countless hours of effort with this latest addition to Aleratec's family of USB duplicators! Designed as a compact, time-saving tool for marketing teams, teachers, trainers and other professionals who regularly duplicate USB storage devices, Aleratec’s 1:15 USB HDD Copy Cruiser SA creates perfect copies of USB flash drives and 2.5-inch USB HDD and SSD storage devices, allowing user to rapidly copy files from one source drive to as many as 15 target drives. 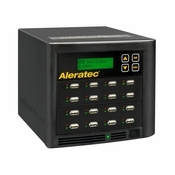 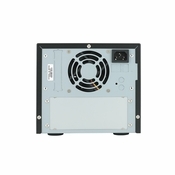 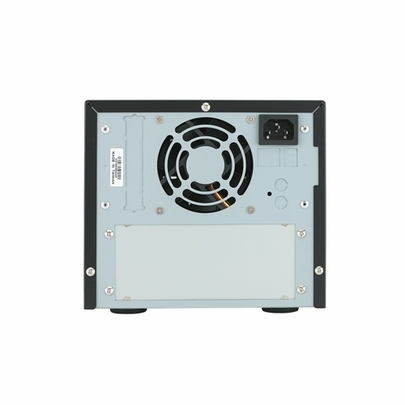 In addition to advanced options like Copy System & Data Only, Copy Complete Drive, or Format FAT / FAT 32 File Systems, Aleratec's 1-to-15 USB HDD Copy Cruiser SA includes sanitization functions that remove all traces of information from 2.5-inch hard drives, using 1-Pass, 3-Pass, or DoD 7-Pass Overwrite functions. 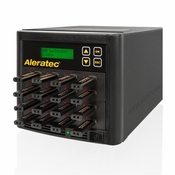 Hard drives sanitized by our 7-Pass wipe have been independently verified by a leader in forensic data recovery as being "forensically unrecoverable", and compliant with NIST 800-88 criteria for media sanitization. 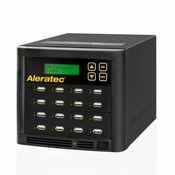 Aleratec’s 1:15 USB HDD Copy Cruiser SA supports most popular brands of USB 2.0 and 3.0 flash drives, as well as external 2.5-inch USB HDD and SSD devices. 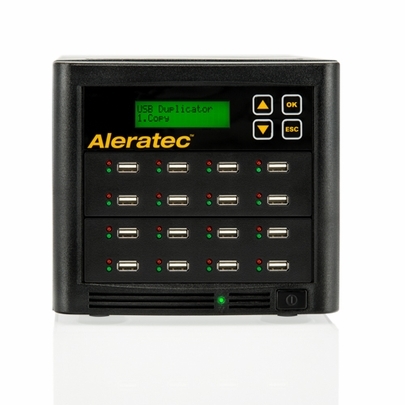 Other convenient or time-saving features include a compact, stand-alone design that requires no computer and little desk space; an intuitive, easy-to-read, backlit LCD display; and forensically certified sanitization, via our DoD 7-Pass Overwrite.